Will the IRS files a false affidavit? I almost hope so. Someone needs to go to jail. Update: The judge gave them 7 days to respond. A second federal judge has now ordered the IRS to explain under oath how the agency lost emails from former division director Lois Lerner, the woman at the heart of the Tea Party targeting scandal. U.S. District Court Judge Reggie Walton told Obama administration lawyers on Friday he wants to see an affidavit explaining what happened with Lerner’s hard drive. The IRS claims her computer suffered a crash in 2011 that wiped her email records at the time clean. But at a hearing examining a lawsuit against the IRS by conservative group True the Vote, Walton said he wants to know what happened to Lerner’s hard drive, which allegedly was recycled. He asked for an affidavit from those involved in handling the crashed drive. The order is another boost for those questioning the agency’s claims that many Lerner emails from that time period are not recoverable. 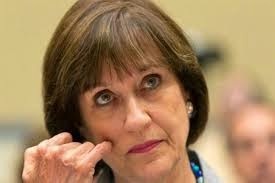 A day earlier, in a separate case brought by conservative watchdog group Judicial Watch, U.S. District Judge Emmet G. Sullivan gave the tax agency 30 days to file a declaration by an “appropriate official” to address the computer issues involving Lerner.